The Dragon Boat Festival, on the 5th day of the 5th lunar month, commemorates Qu Yuan's drowning himself in protest at the corrupt society. This is commonly said to have taken place at the Miluo River, but here the name given is the Canglang. Some accounts say that just before drowning himself Qu Yuan wrote Li Sao. By tradition the events depicted here in the lyrics and illustrations of Zepan Yin also occurred just prior to his death. The melody Qu Yuan Wen Du also concerns this theme. 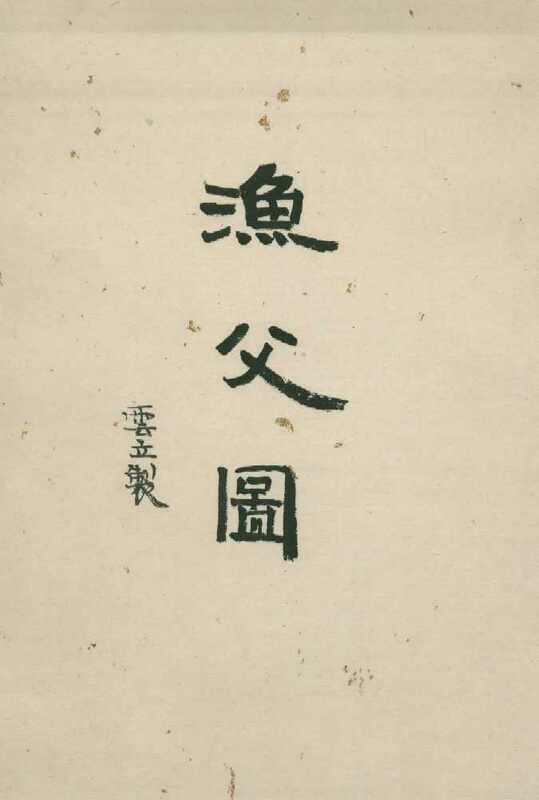 The preface and four section titles of Zepan Yin show that it has the same theme as the Chuci poem Yu Fu. In Shen Qi Mi Pu (1425 CE) Zepan Yin immediately precedes Li Sao, and the two are in turn preceded by a modal prelude, Shenpin Qiliang Yi, the Celestial Air defining Qiliang mode. The illustrations here by Bai Yunli follow the section titles of the qin melody. As is explained in Sources of the online Chu Ci Illustrations, they largely follow earlier Yu Fu illustrations by Xiao Yuncong.